I'm not much of a tote bag kinda girl. 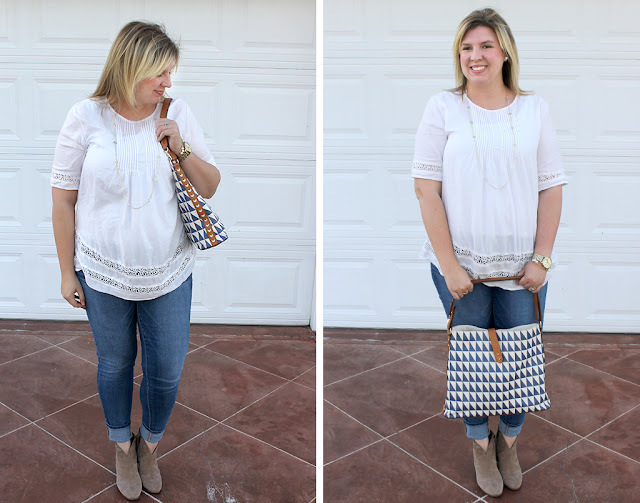 The large size feels more appropriate for beach days and long trips, however a smaller tote that's big enough to hold a decent amount of stuff without being annoyingly bulky - like this geometric tote from Stella & Dot - is a good compromise! I've taken this tote on two long-distance trips (as a carry-on bag to Michigan and catch-all bag to Tennessee), on several day trips and just running errands around town. 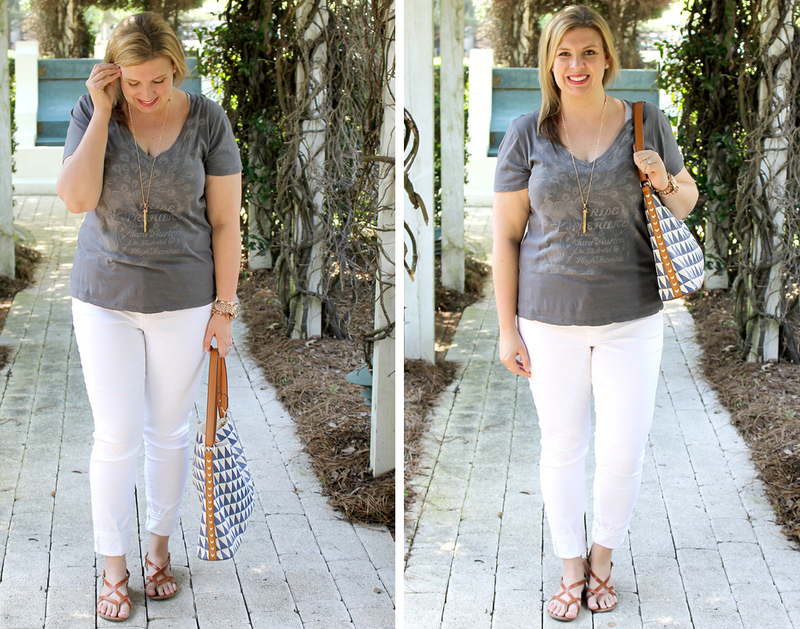 Sadly, the exact version of the bag is no longer available, but Stella & Dot does has a gorgeous neutral chevron version - LOVE! 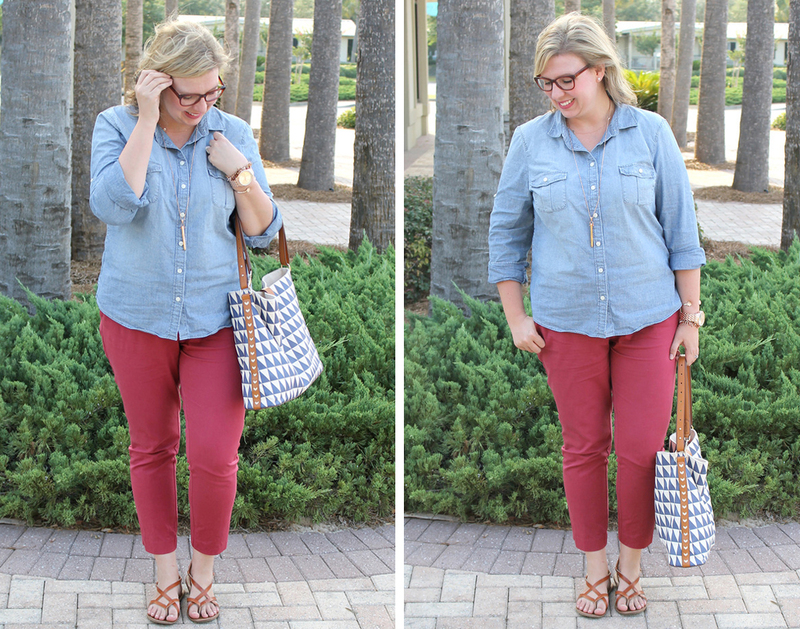 The first way I styled this bag was with pink pants and a navy top for a casual work or weekend look. This tote was perfect for last Friday's day date to the movies (ideal for smuggling in Twizzlers and such, amiright?). Another pink pants look with a different shirt and accessories from earlier this spring. 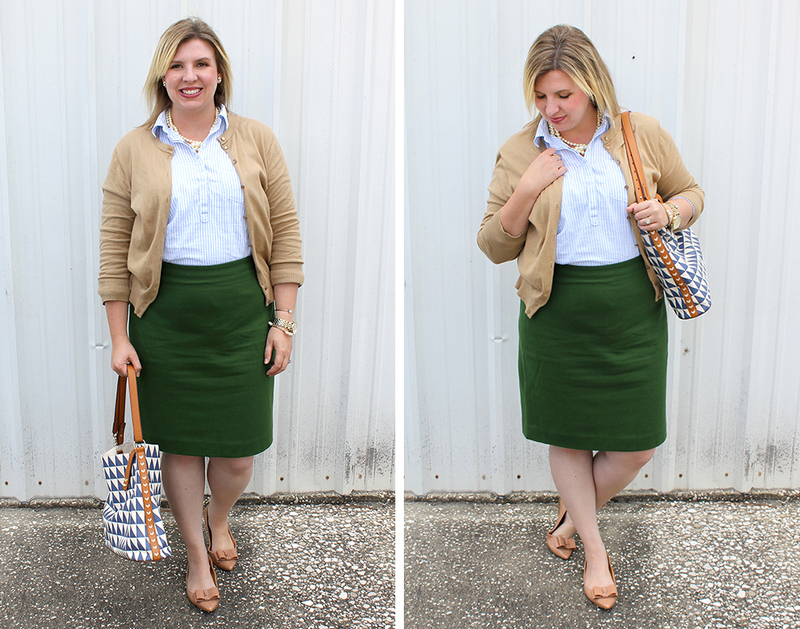 A smaller tote can be work appropriate, especially when dressed up with a pretty pencil skirt. I wore this to work yesterday, and it worked great for all my usually everyday stuff and camera. A fun, casual outfit for day tripping. To make it fall appropriate, I'd throw on a cargo jacket, scarf and booties. Thanks to Anne and Jenn for hosting the #momstyleremix series! Be sure to check out the other linkups for some great tote bag inspiration. Want more #momstyleremix? Check out my jackets, chambray, colored bottoms, T-shirts, cardigans, sneakers, sweatshirts and jeans remixes! Next month is scarfs - ya'll know I'm all excited about that! 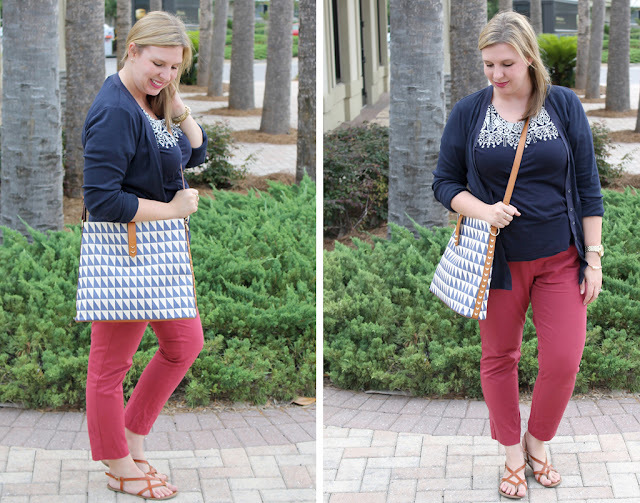 Love your tote - and how you show how versatile a patterned one can be!